Here is an article in the Telegraph Journal about Fort Folly’s work on the Petitcodiac in collaboration with many great partners. This work will enable us to release mature wild Petitcodiac salmon back into their home rivers to spawn naturally. 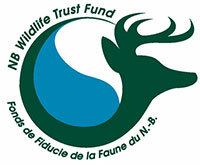 Fort Folly is supported by the Atlantic Salmon Conservation Foundation, the Province of New Brunswick, the Department of Fisheries and Oceans, and Environment Canada to carry out this important work!